“2D Minecraft” is a very short description of Terraria that I’ve heard somewhere… I disliked Minecraft quite a bit when I tried it, it’s one of the recent crazes I just couldn’t understand. 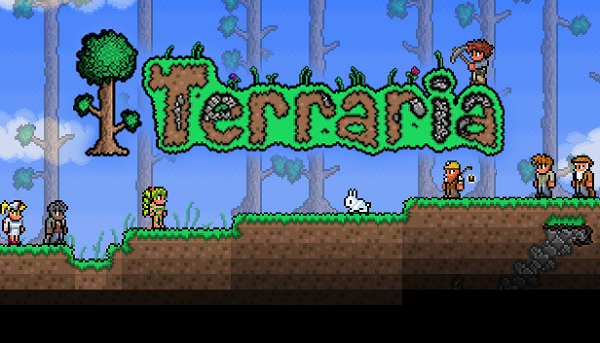 But I thought I’d give Terraria a chance. 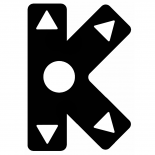 After all, it’s 2D, pixely, it should have some charm, right? Wrong! I downloaded the PSN demo this weekend, and gave it a couple of tries… I was disappointed. The picture you see below has way more charm than the demo itself. I gave the demo a couple of tries, which yielded me the same result – miserable failure. Only the freaking tutorial is available in the demo, and that’s a pretty bad tutorial, as I couldn’t make it through it once. You have access to a sword, a pickaxe used to dig into the ground, and an woodman’s axe. So you walk around, defeat a monster, chop some wood, combine some materials you’d found to create a torch… You can dig with the pickaxe, and you pick up whatever materials you removed from where you dug into. So far, so good (I couldn’t find use for that torch, but eh). But then, you need to mine some ore. So I start digging the ground because that’s where ore is normally found… I fall to a second ground level, then I dig some more, and bam, a huge fall, ending at the bottom of a vast ocean. I try to swim back up, but no luck, my little randomly generated sprite can’t swim. So, in a minute and a half or so, I finally run out of oxygen and die. Really? That’s what you came up with? Why is it even possible to fall into an abyss in the freaking tutorial? Why is it possible in the game at all? Couldn’t there just have been some bottom GROUND layer I could stop at, and then climb back up safely? Apparently not. And that was it. I calmly turned off the demo and went back to the game I was playing. In theory, a demo should advertise the best features of a game, trying to draw new players in, engage them and sell them the game. 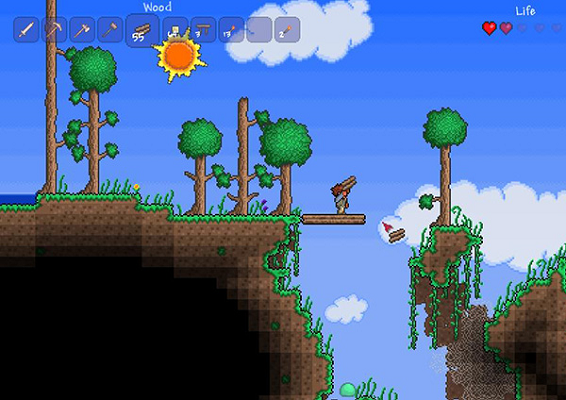 The Terraria demo is anything but that. I’m positive the actual game is way better than what the demo would have you believe, but there’s just no way I’d spend money on it, considering the sandbox genre hardly corresponds to my interest. But this demo, even if I was doubtful about whether this game was worth my money, sure does a good job convincing me it’s not. Probably the fault of 505 Games, the company doing the console port, I don’t know. At any rate, I cannot recommend this. Also at the end of the tutorial it tells you you are on a floating island and it has some biomes you can explore, here is a list: desert, forest(spawn), snow, dungeon( dig need center of island aka spawn), I think those are all of them.